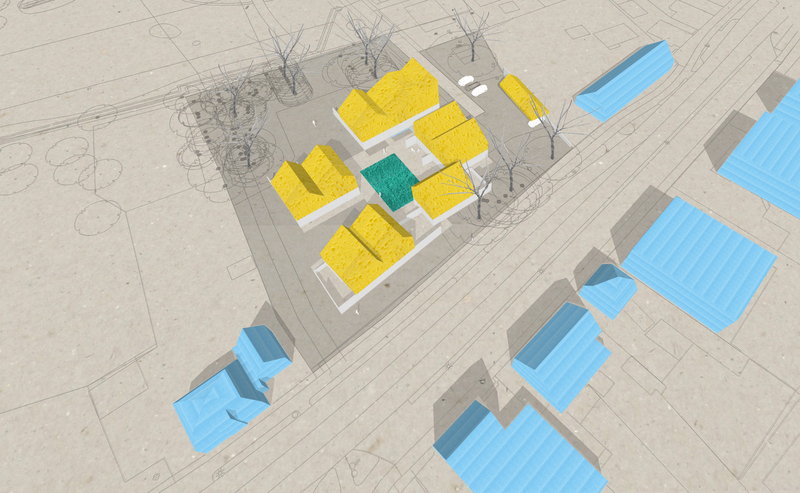 The total plan of the Talingstraat concerns a new housing development of 45 houses. 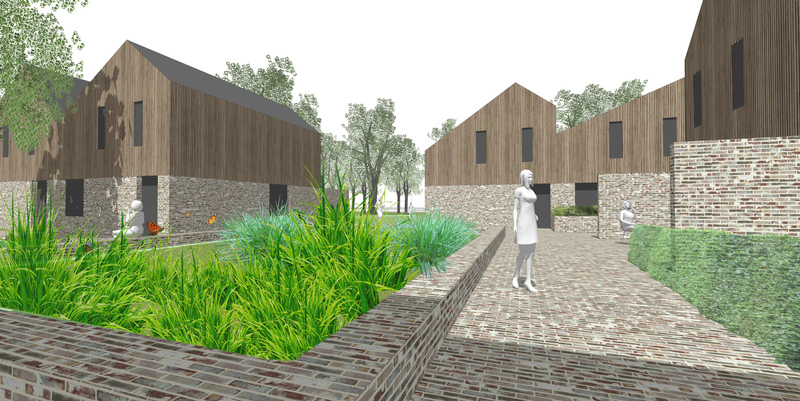 The residential courtyard is the completion of this plan and forms a link between a new park on the river Kleine Dommel and the busy Mierloseweg. The design shows an autonomous ensemble in a green environment. At the Mierloseweg, the ensemble presents itself with a closed wall. These are sound-proof dwellings (higher than the preferred limit value of 48 dB) and therefore have a sound-proof façade. On the inside of the ensemble, a green courtyard forms the heart of the ensemble that opens to a new communal garden, with beautiful existing trees, that is directly connected to the park. The structure of the proposed architecture follows the theme of an open and closed court; brick walls ensure cohesion in the cluster on ground level. The 1st and 2nd floors of the dwellings are made in a roof shape and a different material.